Due to recently implemented closed season for shallow water grouper and snapper on the East Coast of Florida certain species will no longer be able to be targeted at certain times of the year (for more information on Florida’s state regulations on saltwater recreational fishing, visit the FWC website). Closed seasons will force fishermen to change methods and times of year to target certain species. But if a great fisherman is one thing he is adaptable. Fish will be caught regularly out of these closed seasons with a little more fuel burned and some extra effort by your Captain. 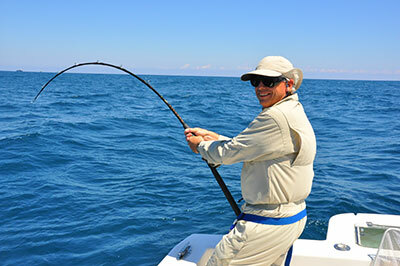 Anchoring and drifting methods are used for local bottom fishing charters. 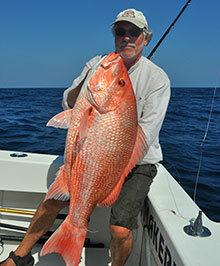 A variety of species can be caught including: Mangrove, Mutton, Vermillion, Lane and True Genuine Red Snapper. 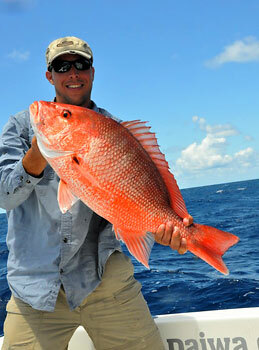 Snapper range in weight from 1-20lbs depending on the species. The biggest of these would be the Genuine and the Mutton. Grouper species include Gag (grey), Scamp, Black, Red, Warsaw and Snowy Grouper. The most commonly caught Grouper is the Gag and can reach weights in excess of 40lbs. 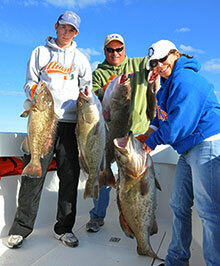 Warsaw would be the biggest grouper that we encounter and can reach weight in excess of 70lbs. Red and Scamp would be the 2nd and 3rd most common group caught in shallow water (less than 200ft). Scamp Grouper would be the tastiest in my opinion. Explore the bottom of the ocean with Capt. Price! Call (772) 405-0091 or submit the contact form. Trips depart from Stuart, FL. All species of Grouper and Snapper are excellent eating and the meat freezes well. 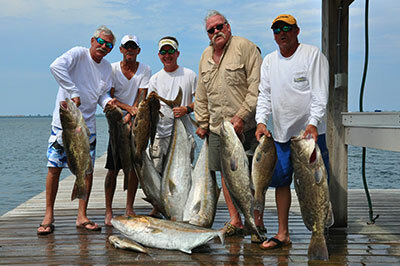 Around Stuart, the best Grouper fishing occurs in the Fall and again in May and June right after the season opens back up. Snapper fishing is good year round but if you wish to target muttons the best time would be late Spring and early Summer. 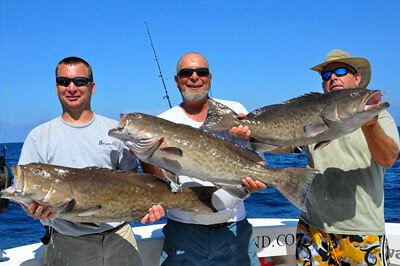 Grouper and Snapper are extremely powerful and you feel every pull they make. We fish a locked down drag to keep the fish from getting back into the reef so when he pulls he pulls you. It is a true battle of strength. Other great eating bottom fish that we catch are Golden Tile fish and Amberjack. Golden Tiles are caught using an electric reel and the fishing is done in water depths exceeding 650ft. Excellent table fare and a unique way to catch a fish. Amberjacks are the toughest fighters we have on the bottom. Unlike Grouper that can not adjust to the pressure changes when you pull them off the bottom Amberjack will fight all the way to the surface. Amberjack are good eating and reach a weight in excess of 75lbs. The average fish weighs around 35lbs and you will remember the day after your fishing charter that you battled an Amberjack. If you like bottom fishing, you might want to try out deep dropping!